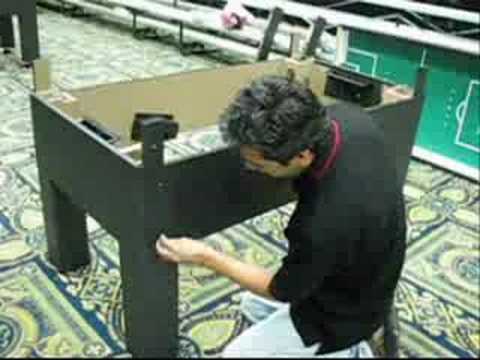 Demonstration of a "slingshot" on the Warrior foosball table. 0:11 Min. 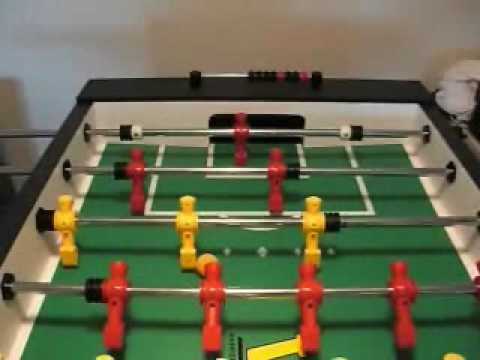 Step by step instructions on putting together a Warrior Foosball Table. Part 1 of 2. 6:46 Min. Step by step instructions on putting together a Warrior Foosball Table. Part 2 of 2. 4:58 Min.